OF NORTH AND SOUTH FLORIDA STARRING FULL LENGTH PROFILES ON ALEX SAMS, CARSON MCNICHOLAS, CHRIS PADILLA & CHRIS MORACO. ALSO INCLUDING A FLORIDA MONTAGE AND AN NYC SECTION FEATURING MINI VIEWS ON...SEAN SMITH, ROBBIE SQUIRE, GABY VELASQUEZ, JON FROMM, ANDERSON GILLIS, RAMELLE KNIGHT, ROBBIE SILCOX, ERIC HALLIMEN, PABLO PORTA, SAFE JOURNEY, RAVEN GUERRA, HECTOR RODRIGUEZ, DANIEL VILLANUEVA, VENANCIO FERNANDEZ, SAL ZASO, TADD LABOZZETA, DANNY IRIZARRY, SEAN GROSSMAN, SAM GRIMM, YUSUF JAMES, JON ORTIZ, ROBERT DISLA, JOE LEE, ARSENIO PATTERSON, PABLO MUNOZ, TREVOR JOHNSON, CHAD PETROSKI, VIK FINCH & THOMAS LIPANI. 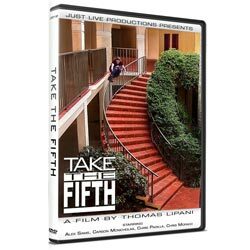 DVD EXCLUSIVES FEATURE 30 MINUTES OF BONUS FOOTAGE INCLUDING A SKATEPARK SECTION FEATURING JULIAN BAH, JON GARCIA, MIKE MCDONALD, JOHNNY RAMIREZ, JUSTIN FINLEY, ZACH SAVAGE, BLAKE KELLY & ERIC MICHAEL. A B-ROLL SECTION AND MANY MORE. DVD RUNTIME INCLUDING BONUS FOOTAGE IS APPROXIMATELY 1 HOUR AND 2 MINUTES. Looks sick! I'll have to order it. It's good that now more physical copies are being released instead of only having stuff put out in the virtual world; the internet. Not a very good idea to only have something exist only through the internet and a connection only allowed through a purely electrical powered connection.